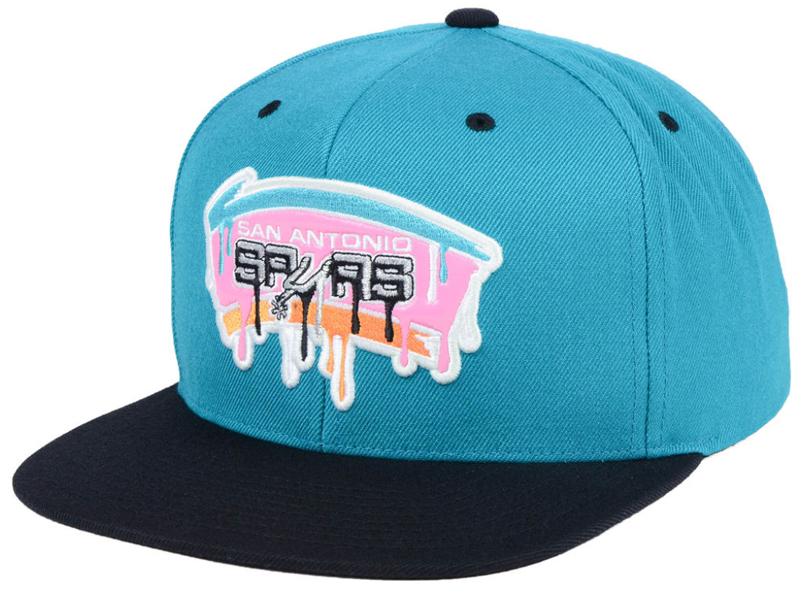 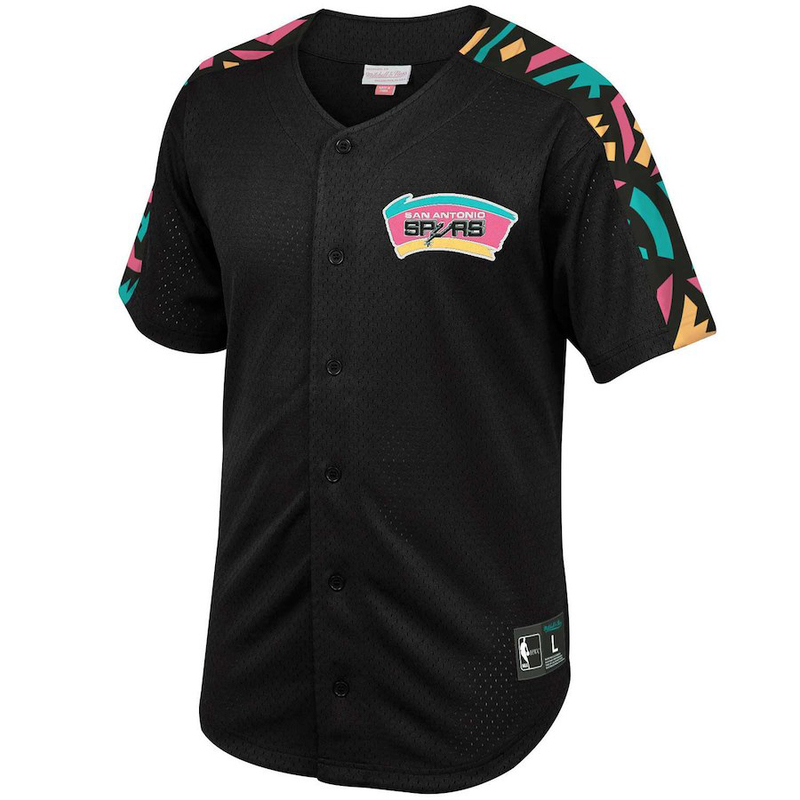 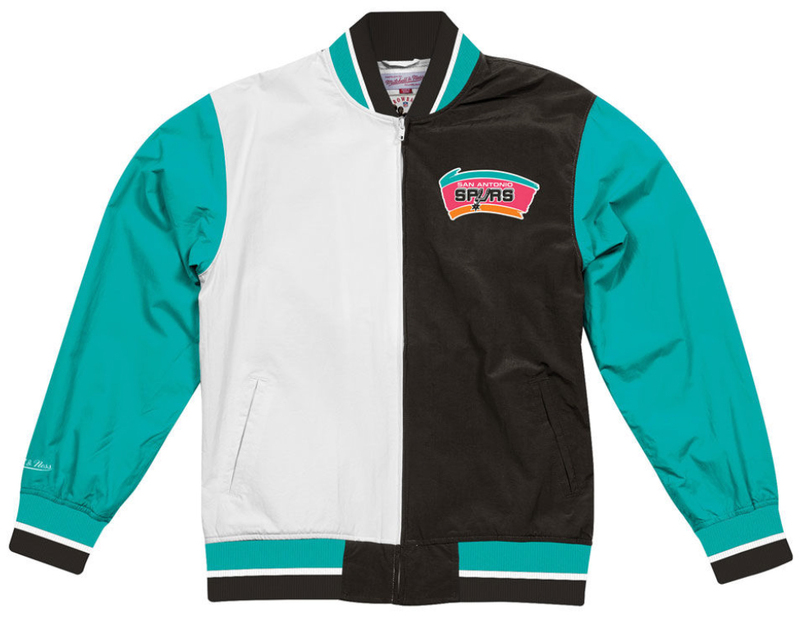 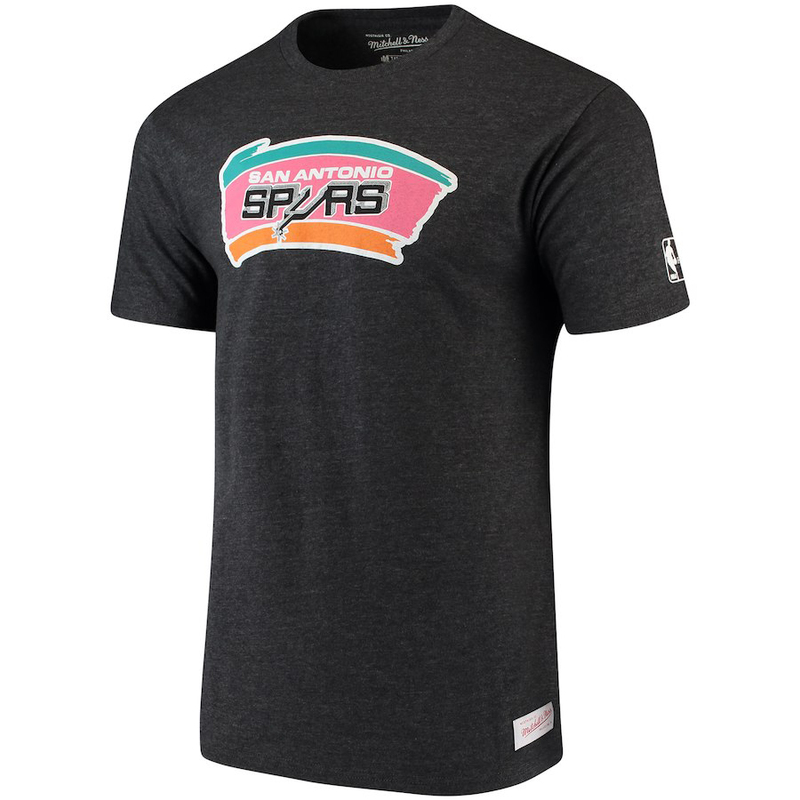 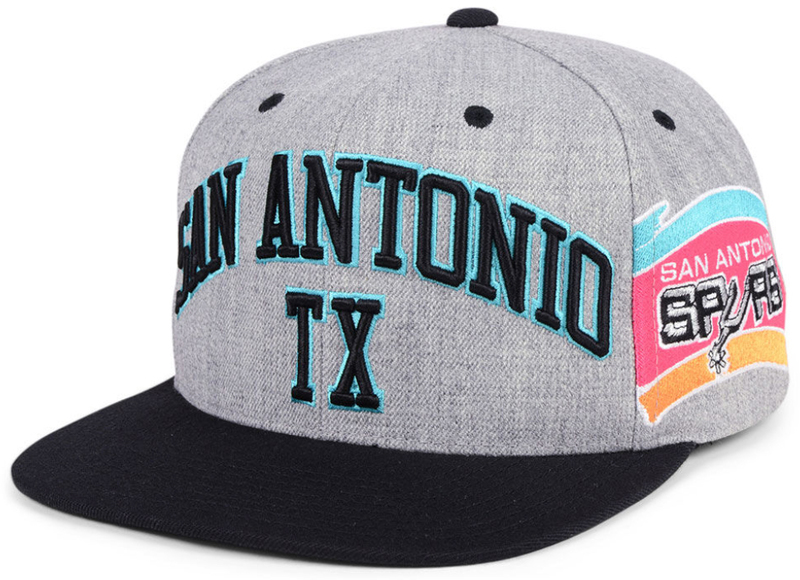 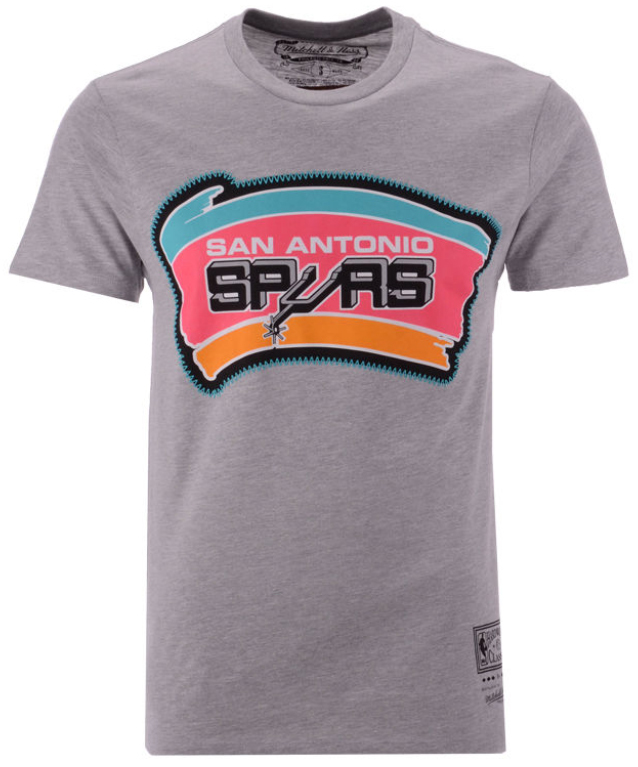 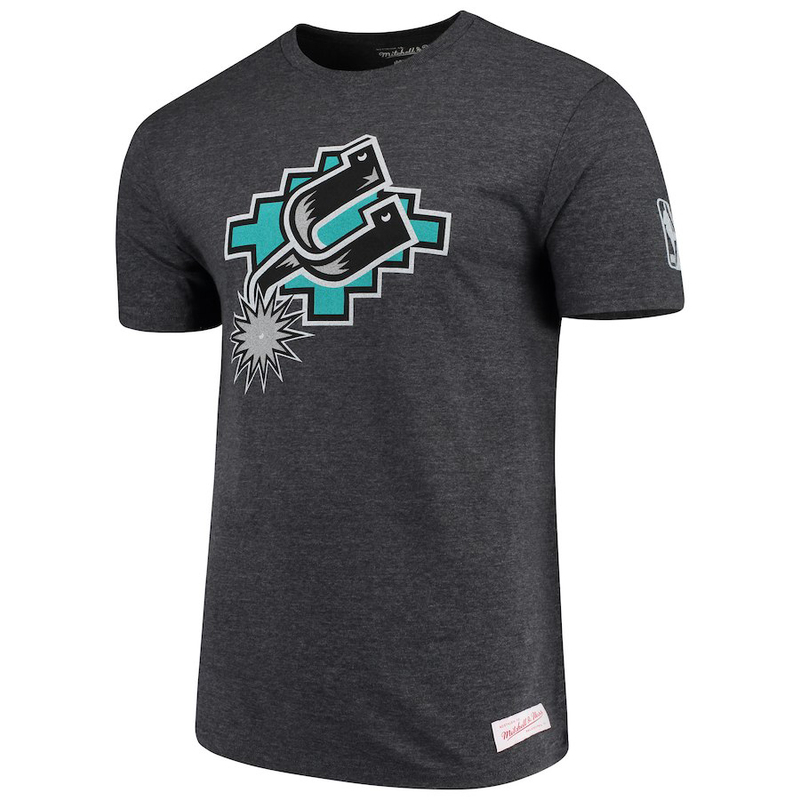 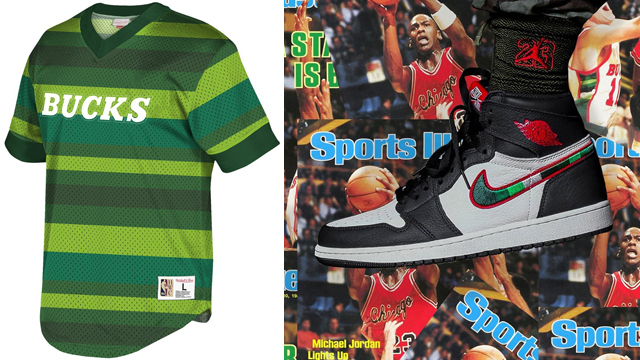 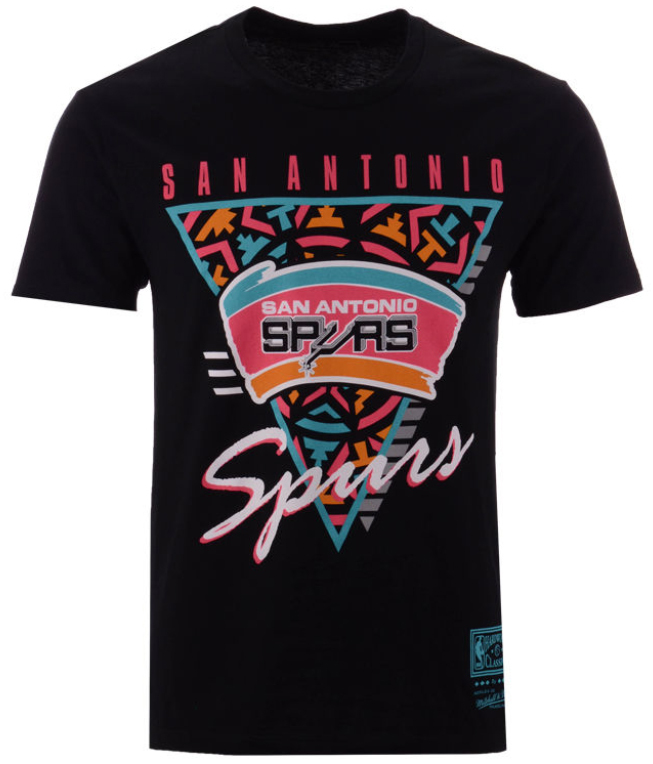 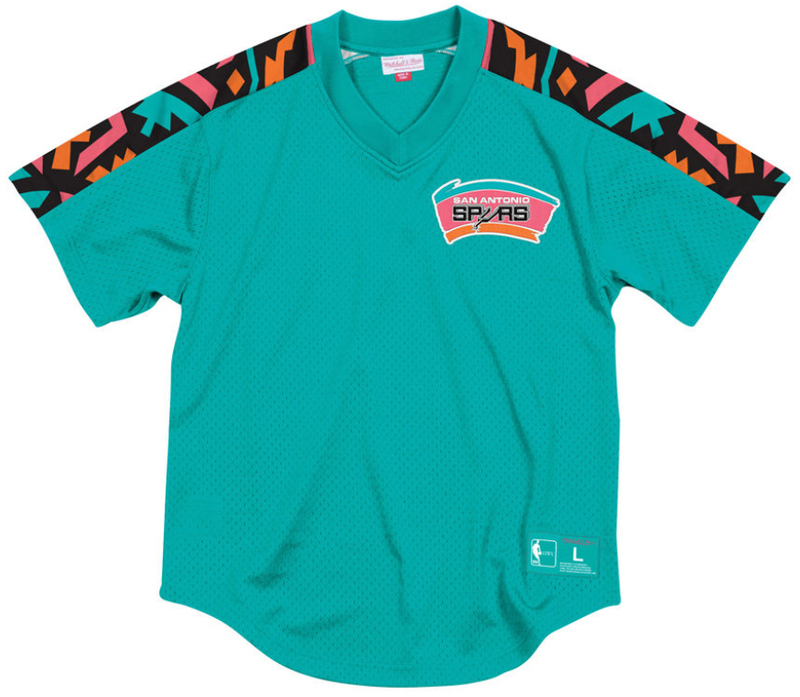 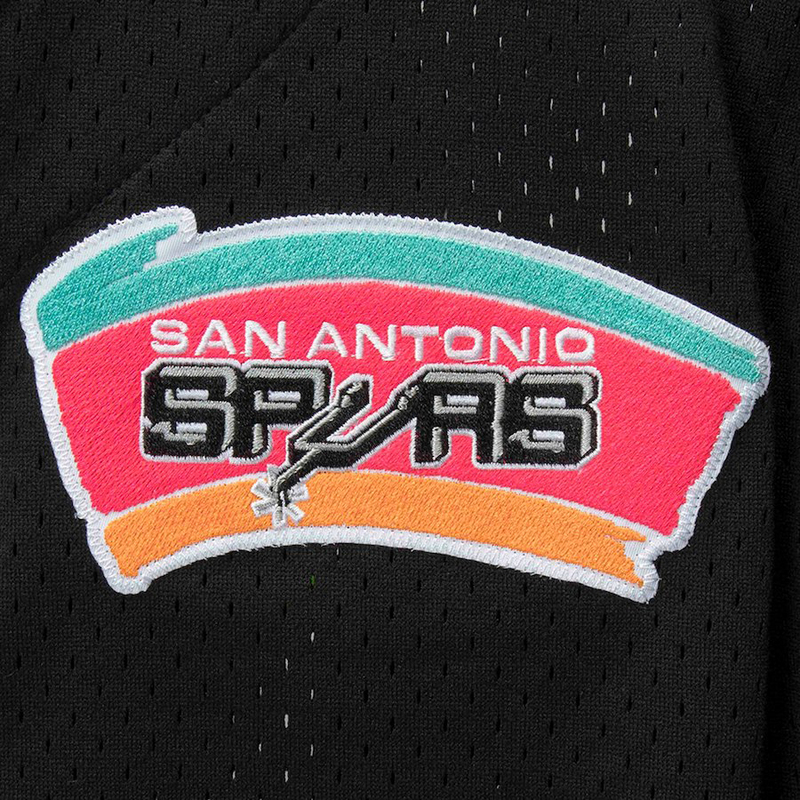 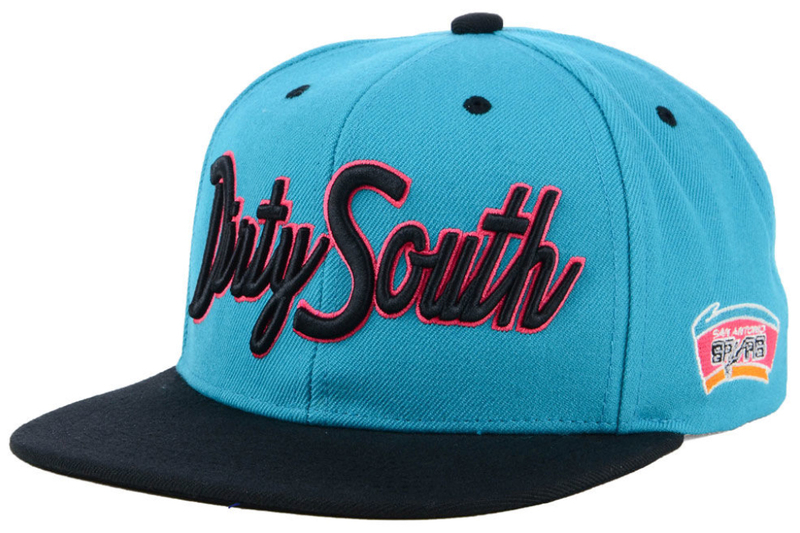 Matching up with the Air Jordan 8 “South Beach” sneakers in retro San Antonio team style with this Mitchell & Ness NBA Spurs Trading Block Crew Sweatshirt. 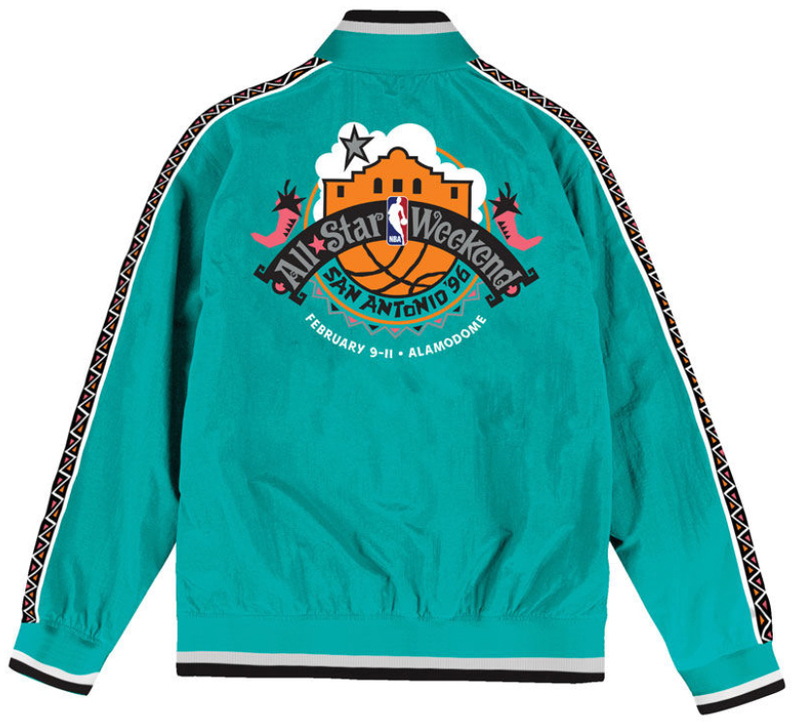 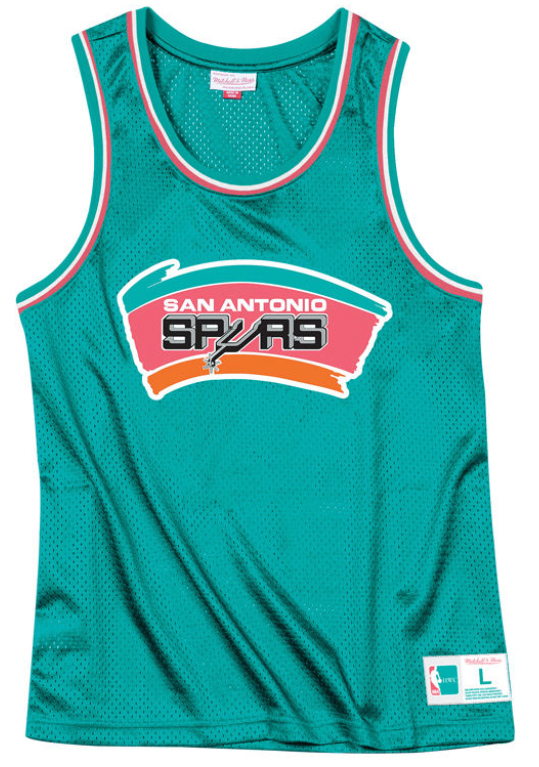 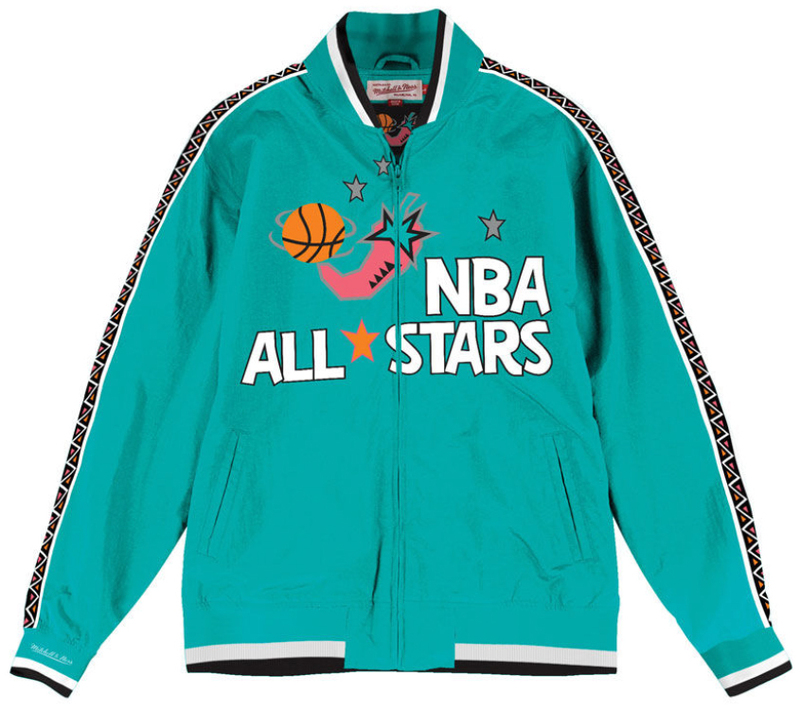 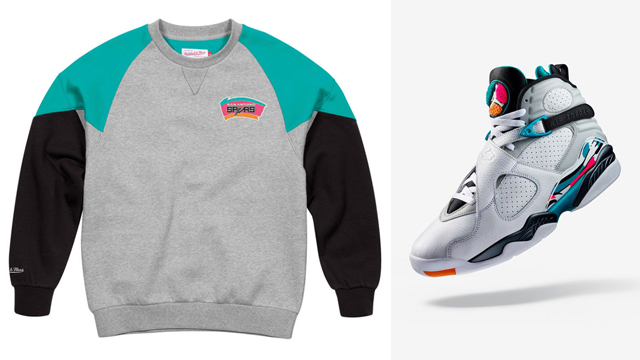 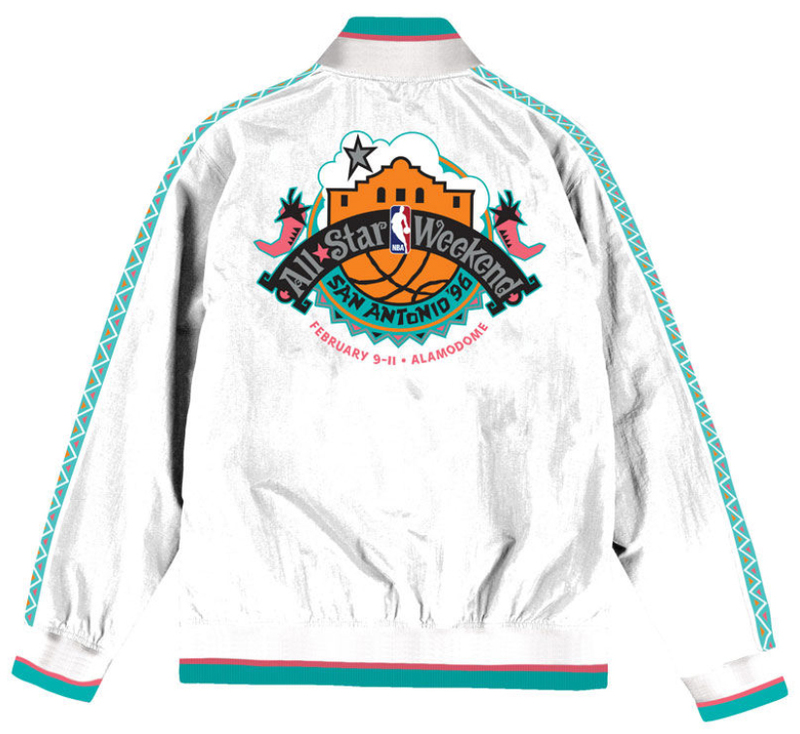 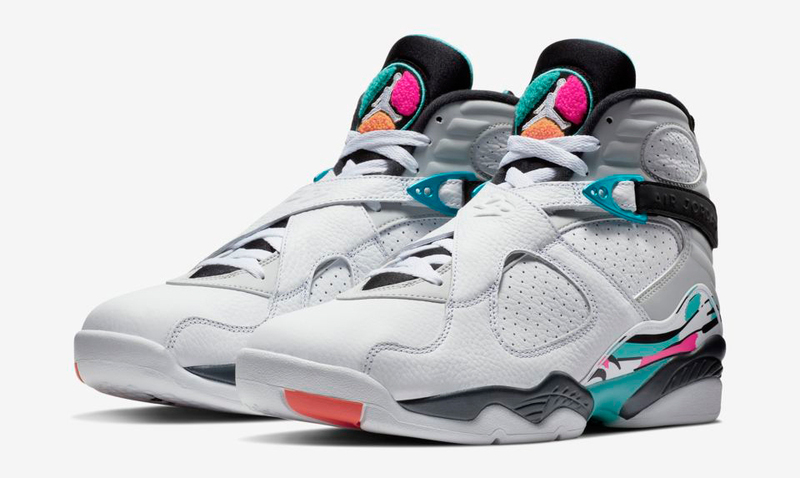 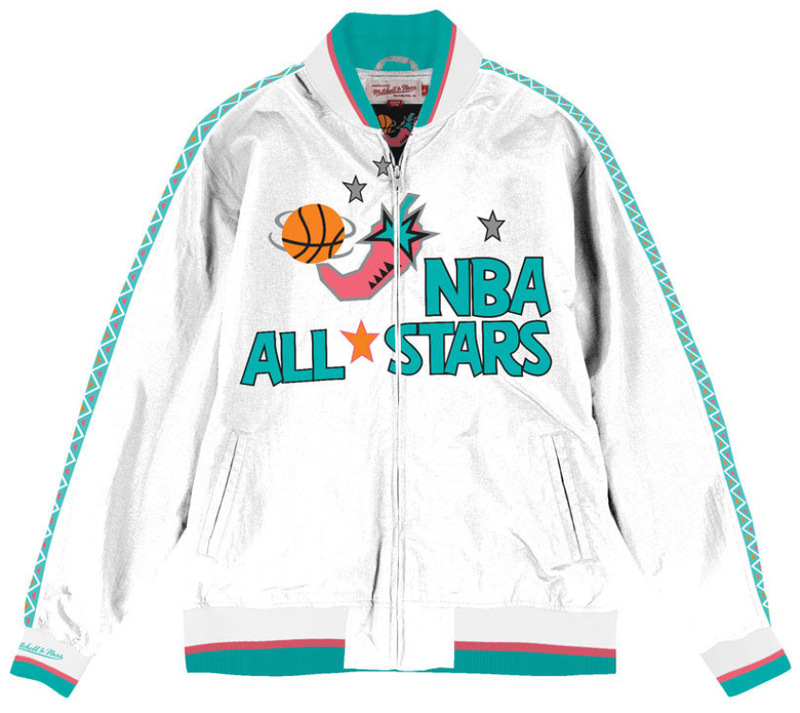 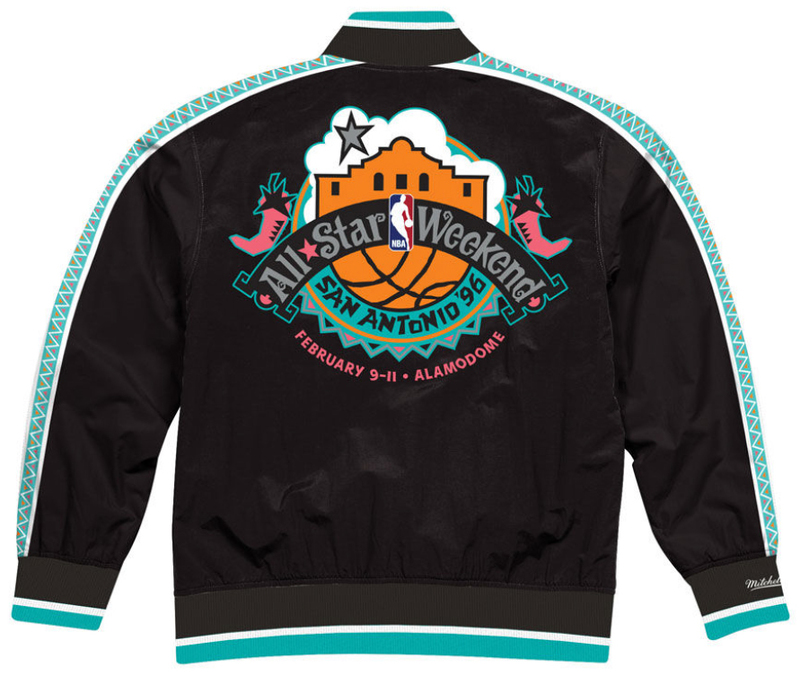 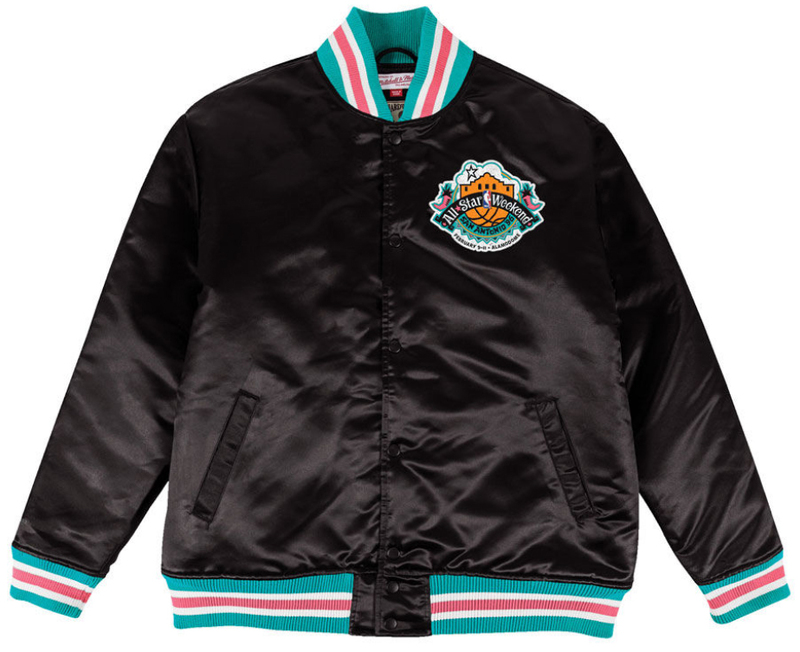 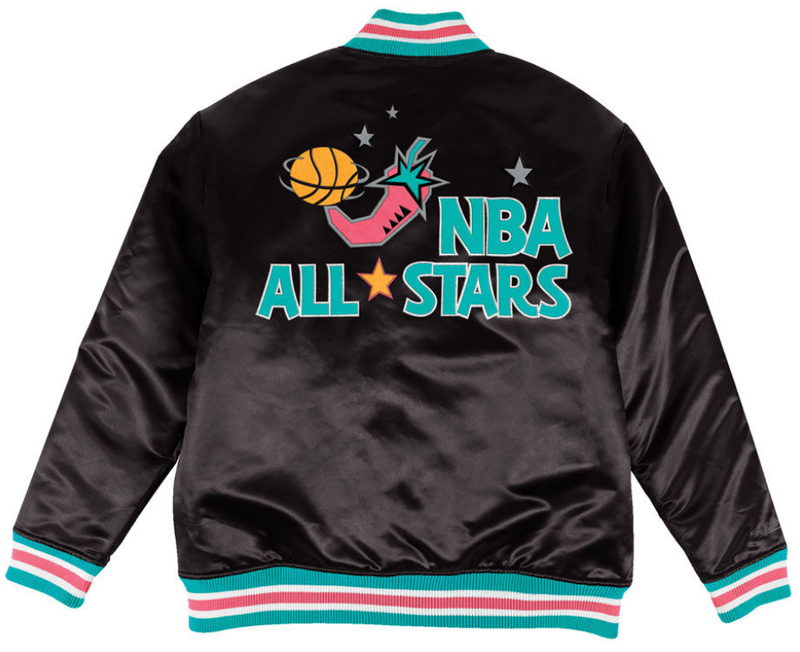 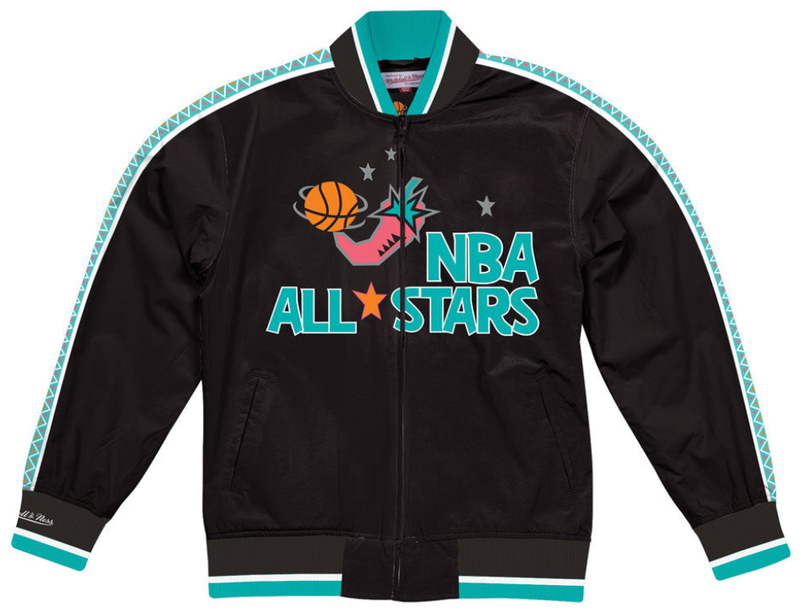 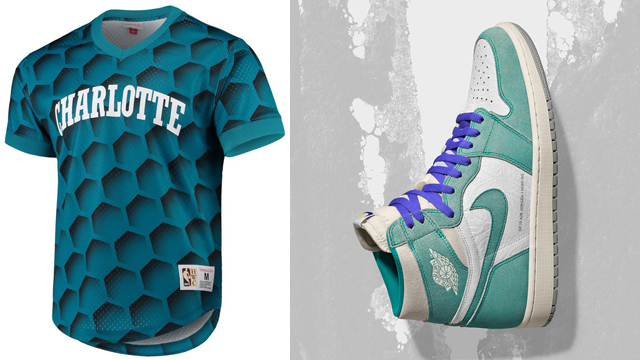 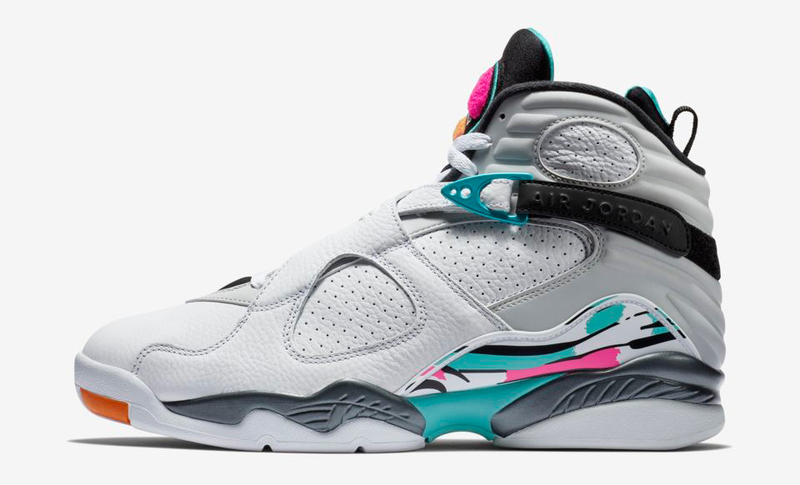 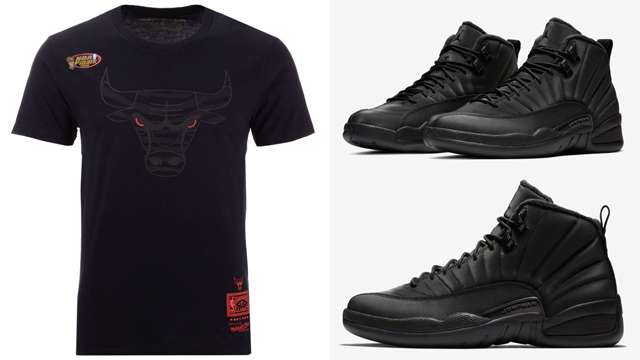 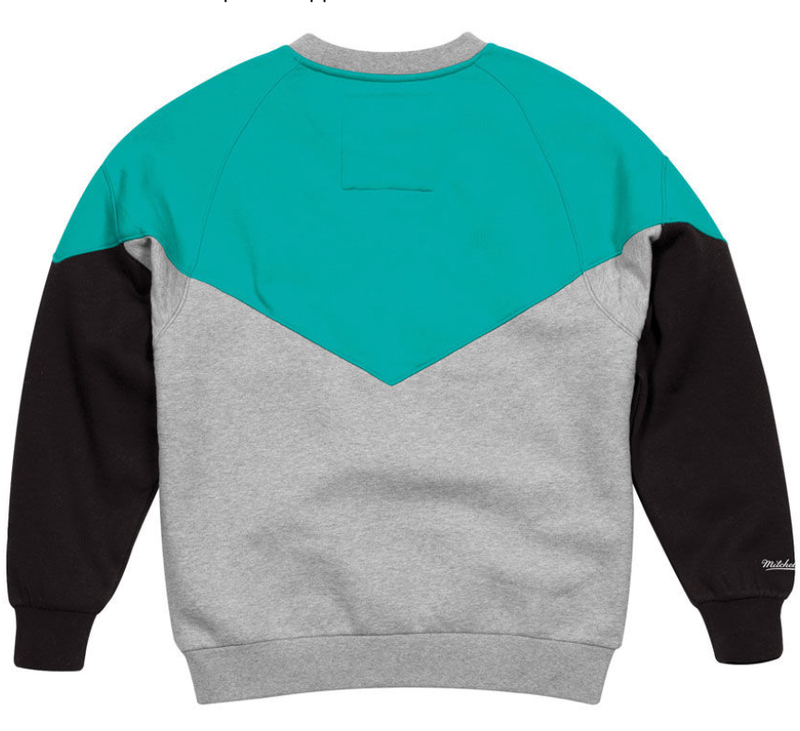 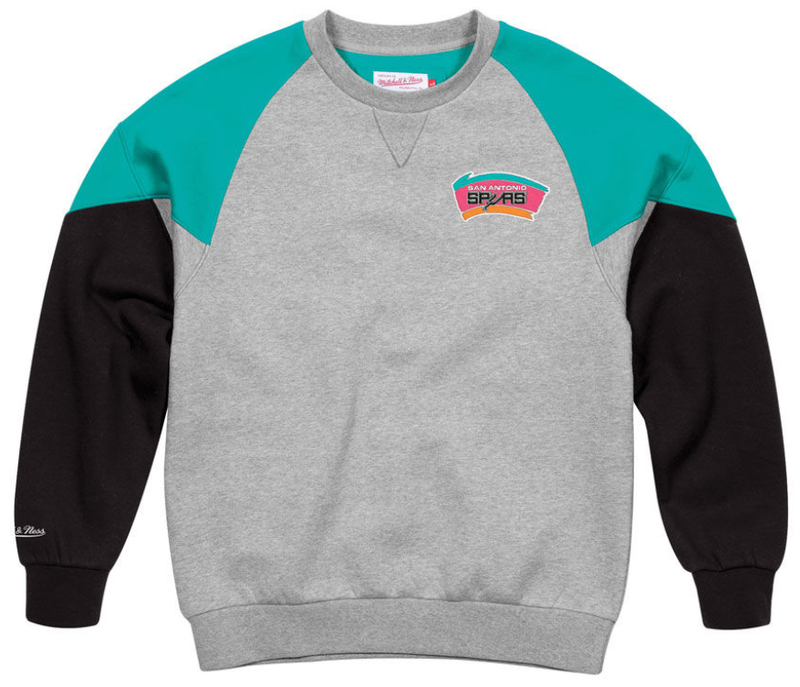 Perfect for pairing up with the South Beach 8s during those cooler days, this San Antonio fleece sweatshirt features throwback Spurs team tints, with blocks of teal, grey, black, pink and orange to match the colors on the Air Jordan 8 Retro kicks. 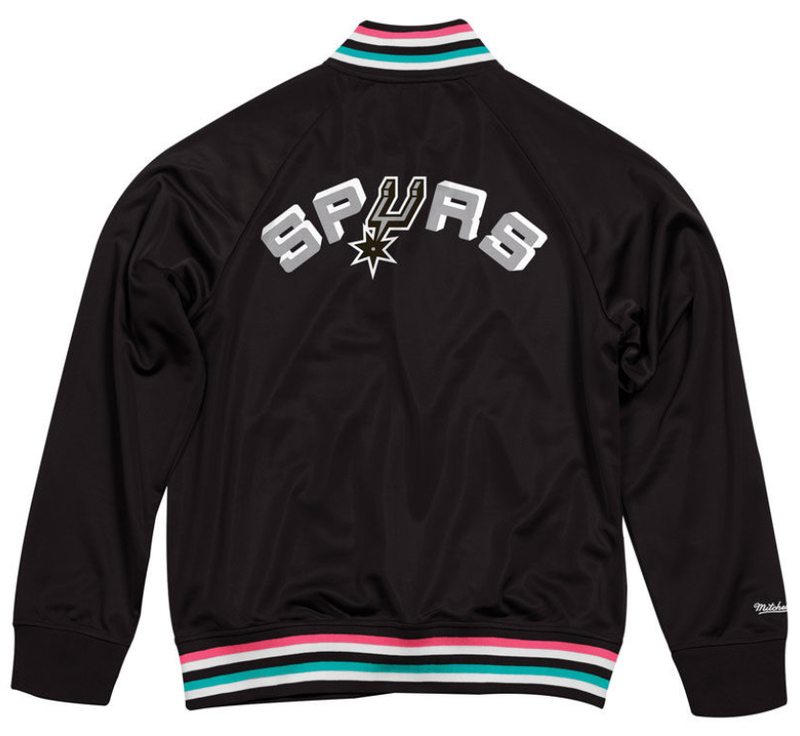 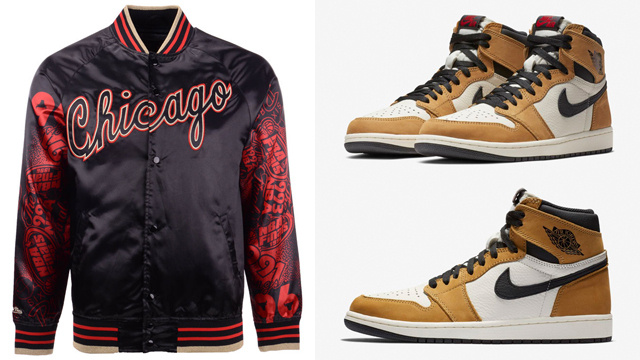 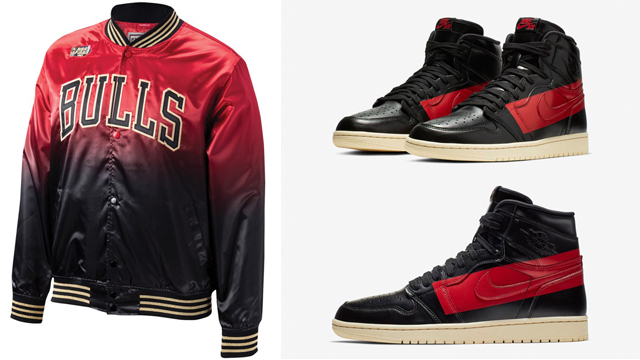 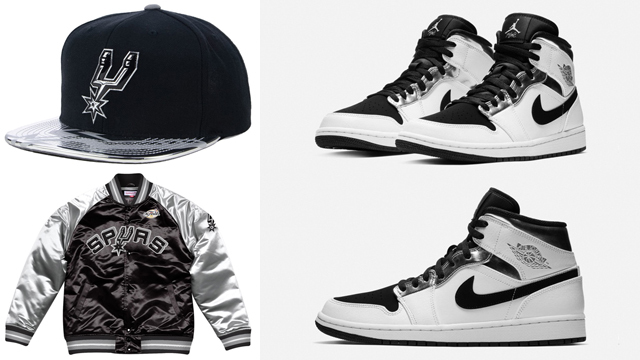 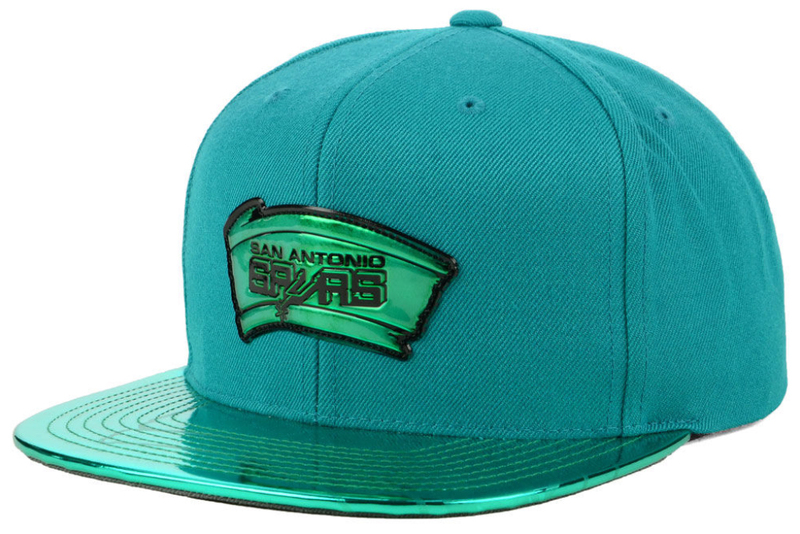 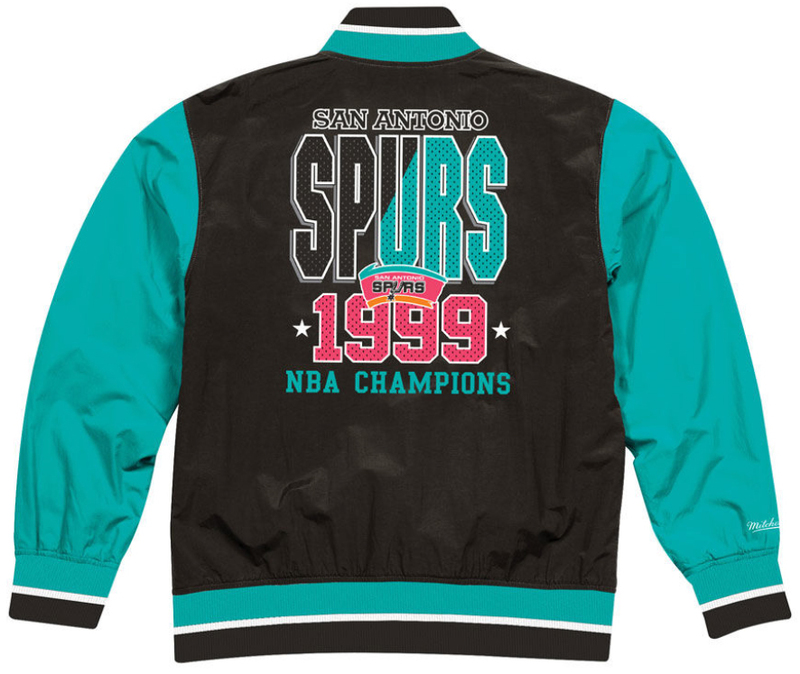 Also good to hook with the shoes are Mitchell & Ness Spurs Throwback Jackets, hats, shirts and jerseys which are also featured below.